Nothing makes a home more warm & cosy than the glow and scent of festive candles, and there are so many to choose from, whether as a gift or a treat to yourself. I’ve been acquiring quite a few over the last few weeks and thought I’d round up my favourites. 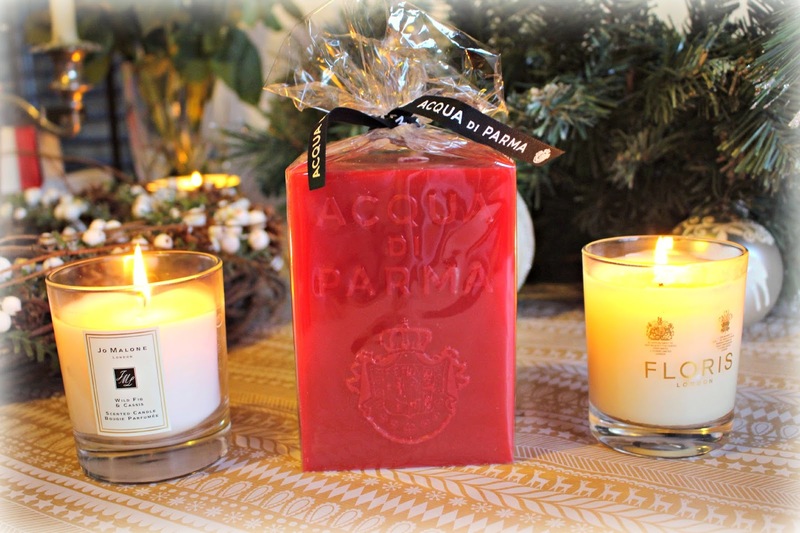 These include the classic Jo Malone Wild Fig & Cassis, the Acqua di Parma Spicy Accord Red Candle, and Floris‘ Cinnamon and Tangerine. 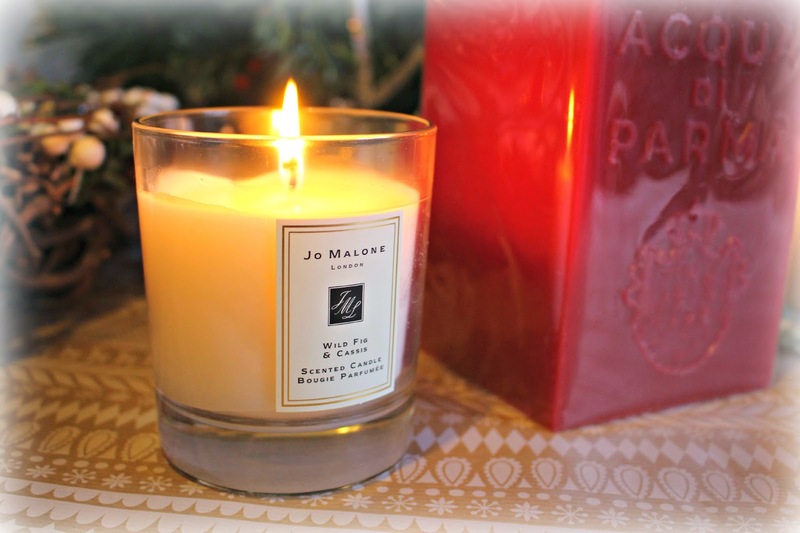 You simply can’t go wrong with this Jo Malone candle for Christmas. It’s the perfect gift all year round, whether to gift the hostess of the evening, for a house warming present, or a special birthday gift, Jo Malone candles are always such a pleasure to give and receive. The fig, pine and cedar wood fragrance of the Fig & Cassis Scented candle isn’t overly Christmassy, but transforms any room to a luxurious place to relax and unwind, the fragrance reminding me of a morning spent in a sunny climate – somewhere I’d much rather be on a rainy January morning! It’s £40, and burning time is 45 hours, available from Jo Malone. 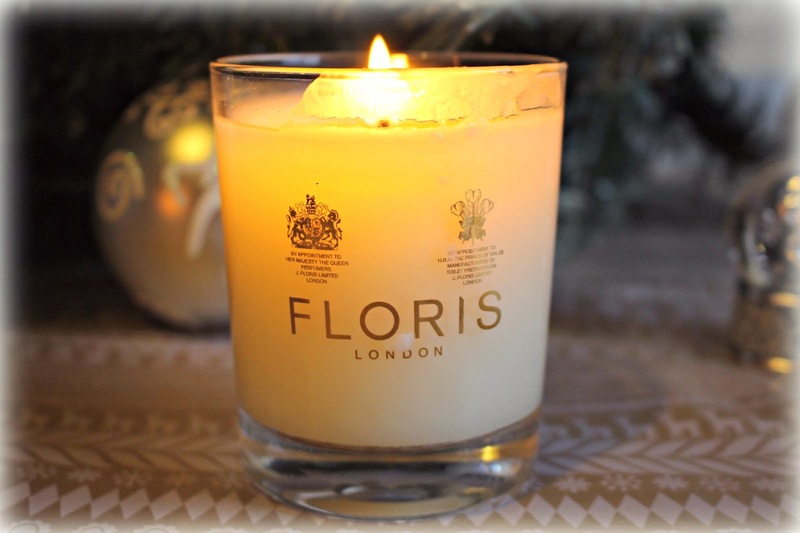 Floris is a brand that I discovered this year, and has swiftly risen to the top of my candle lust list. A less obvious choice than Jo Malone, but equally as luxurious and desirable, the Cinnamon and Tangerine scent in particular is quite a strong, Christmassy fragrance with notes of Cinnamon, Brandy, Tangerine and Nutmeg and is the one i’ll be burning for my festive drinks and dinner parties. I reviewed the brand properly a few weeks ago here. This candle is also £40 from Floris. Wow – this is one heck of a candle! 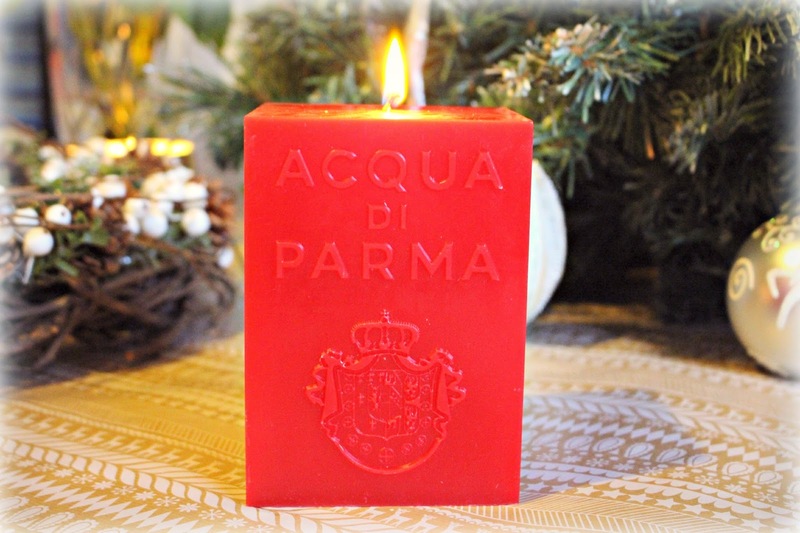 The Acqua di Parma Spicy Accord Red Candle is a stunning, huge red wax cube, hand crafted with the Acqua Di Parma crest. Currently taking pride of place on my coffee table, this is a festive talking point and a beautiful design object to add some luxury to the home. The burning time according to Acqua di Parma is around 60 hours, but I’ve already probably burnt it for 10 hours, and foresee it lasting far longer than the predicted 60. The fragrance isn’t as strong as the other two candles mentioned, but it’s a rewarding pleasure when you catch the spicy aromatic notes. It’s £55 for 1000g, available from Acqua di Parma and Selfridges. I hope I’ve inspired you to pick up a luxury candle for the festive season, let me know which fragrances you’ll be burning!